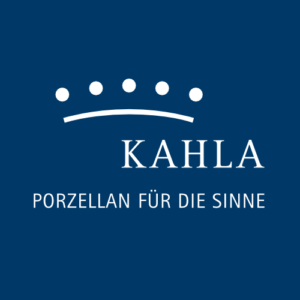 Kahla – Żejmo & Siatecki s.c.
Kahla/ Thüringen Porzellan GmbH is a German manufacturer of the highest quality porcelain tableware, such as cups, mugs, plates and whole sets. The company exist in current form since 1984, but its history has its beginnings in 1844. Kahla products are known throughout the world from the original, modern design and unique, patented solutions, such as MagicGrip (silicon gripping surface), Touch! (colour flock band in different variants), or Notes (special porcelain surface which enables writing on it with pencil or crayon). The very wide range of products, few characteristic design lines with exceptional finishing techniques, makes Kahla products perfectly designed to meet the requirements of the advertising market. The company’s credo is: Porcelain for the senses. Żejmo & Siatecki – House of Brands – is an official, authorized distributor of Kahla products on Polish and Eastern European market.